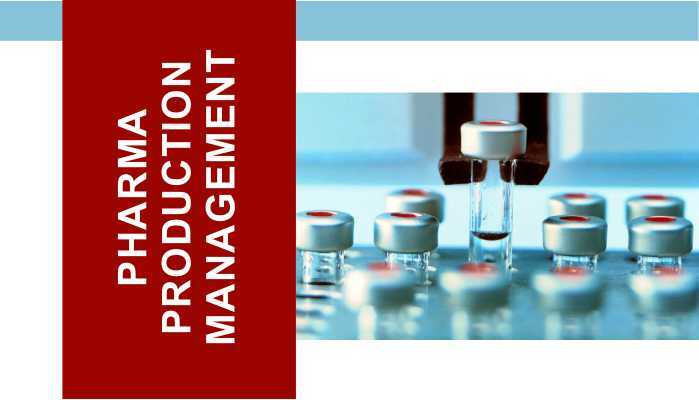 Course Objective: Advance Diploma in Pharmaceutical Production Management is conceptualized with vision to create effective Production Manager for specifically for handling pharmaceutical formulation plant. This course gives practical knowledge of the functionalities of production related jobs / decision making skills. Industrial production management is concerned with the organization of raw material, machinery and labour to produce the desired goods or services along with taking care of quality and quantity of the products so produced. Industrial production managers are responsible for production schedule and staffing, procurement and maintenance of equipment, quality control and coordination of production activities among different departments. While controlling the overall production process they also take care of economic efficiency and in-time delivery of the goods and services so produced. Besides, they should be aware of the recent market trends and the resultant change in the demand pattern. Also Production Manager should able to handle the export requirement, therefore working knowledge of the Regulatory Affairs (e.g dossier preparation, DMF, GMP norms) are of importance. With strengthening of domestic and international regulatory standards, new drug discovery & formulation development, quality requirements as well strengthening of the marketing approval of pharmaceutical products, there is high demand in pharmaceutical industry for qualified and well knowledge production managers in production department of the company. Large pool of manufacturers, high competition and strict regulation on quality of medicine compelled manufacturers to hire skilled, qualified, and well knowledgable production managers to maintain high productivity, economies of scale as well as quality standards to survive in the industry. 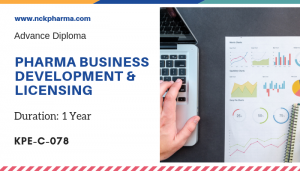 This course will give a huge value addition to your professional career. As production manager, you must be knowing important aspects of regulatory affairs including, GMP, GCP, ISO as well as Handling of Audit, standards of international regulations like ICH, USFDA, CDSCO etc. This course is designed by industry experts to simulate practical knowledge & skill required by industry with minimal course fees. 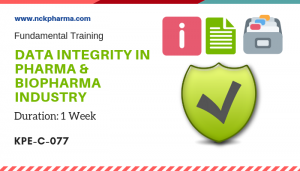 You will be getting Practical Knowledge of Pharmaceutical Production similarly as Industry require. Knowledge Process Enhancer is registered under Trademark Registry of India, under class 42. B.Pharma/D.Pharma/ B.Sc/ Any graduates or those who are in 3rd / final year of those courses, who want to make career in pharmaceutical marketing can pursue the course. PILOT PLANT AND SCALE-UP TECHNIQUES – Pharmaceutical Pilot plant – Pilot plant design – Case studies for tablets – Capsules – Aerosols – Liquid orals – Parenterals – Sustained release preparation – Semi-solid preparation – Basic requirements – Design of product – Facility – Equipment selectionand personnel. Production systems – Production department – Production process routing and loading –Scheduling – Despatching of records – Production control. FORMULATION PRODUCTION MANAGEMENT – Plant site selection and layout – Material handling for various pharmaceutical products – Service facilities – Preventive maintenance in pharmaceutical companies – Group andindividual replacement. MATERIAL MANAGEMENT– Materials – Quality and quantity – Value analysis – Purchasing – Centralized and decentralized – Vendor development – Buying techniques – Purchasing cycle and procedures – Stores management – Salvaging and disposal of scrap surplus – Selective inventory control – RQM and EOQ – Modern inventory management systems – Cost and savings in inventory. HUMAN RESOURCE DEVELOPMENT – Human resource planning – Job analysis and design – Recruitment – Personnel selection – Orientation and placement – Training and development – Supervision – Performance appraisal – Remuneration and salaries – Compensation – Industrial relations – Motivation – Labour welfare. Real life exposure to SOP management system with 400 real life SOPs operating in pharma industry. 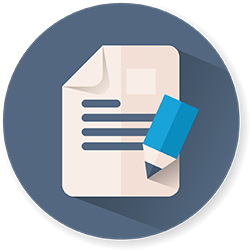 GMP and GMP documentations and handling of GMP audit . 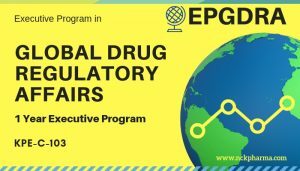 Detailed study on the Drug Regulatory Affairs with exposure to drug registration in different countries. Basic Training on Drug Regulatory affairs and training on drug dossier preparation. Special module on export documentation.